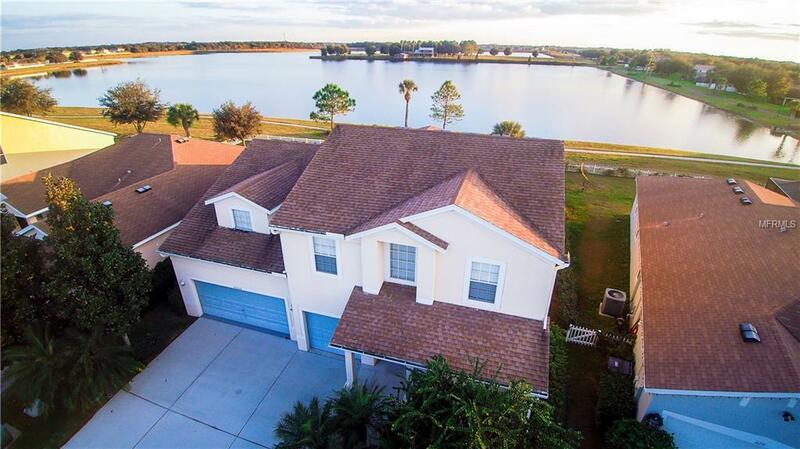 Large five bedroom, four full bath, THREE car garage PLUS Bonus room home with a gorgeous Lake-front view. Fully fenced! Formal living/dining area. Kitchen is open to the family room and features all appliances, upgraded cabinets, Corian counters and a breakfast area. Take in the view on the screen enclosed lanai. Downstairs master with walk in closet, separate garden tub and shower, dual vanities. Upstairs is a large bonus room separate from the four other bedrooms. Enjoy the Community pool and park in this peaceful neighborhood! Don't miss out on this move in ready home! Available for a quick move in!